I think the effect is pretty close to the one create with yupo and alcohol inks, don't you think ? So what did I use ? Dry erase paper (DCWV), alcohol marker (Copic) and stamp cleaner (Stazon) ! Isn't it incredible ? If you don't believe me, you can check my technique on my YouTube video. White board paper by DCWV, stamps by Indigo Blu, Copic sketch marker BG18, and stamp cleaner by Stazon to create the blue paper. 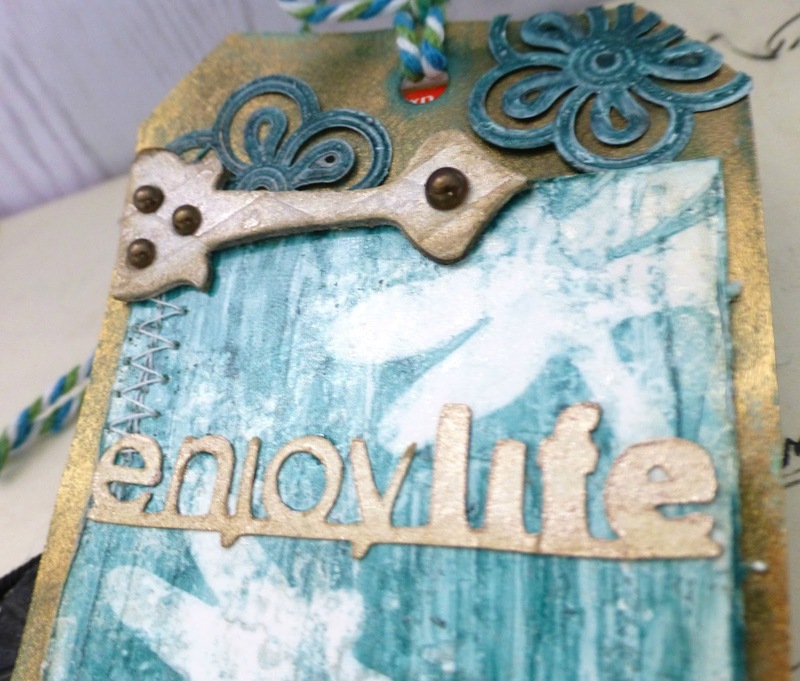 Weathered Copper kit by Tattered Angels on cream cardstock (DCWV) cut with a tag die (Sizzix) for the tag. 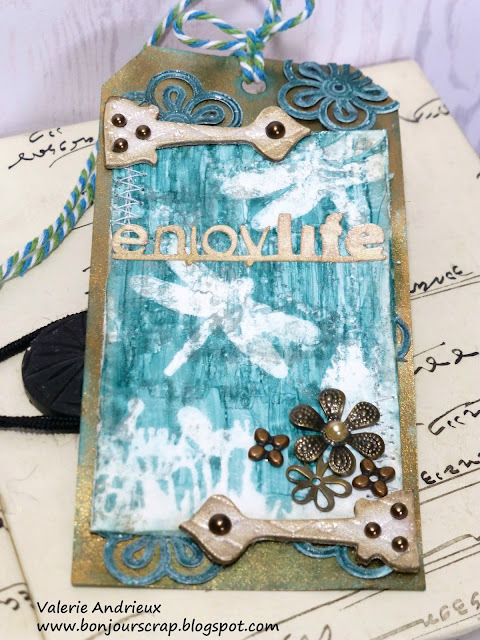 I used grungeboard embellishments (Tim Holtz) with Crocheted Doilie mist and Wlanut stain ink (Tim Holtz), brown half pearls (Doddlebugs design), and metal flowers to decorate the tag. 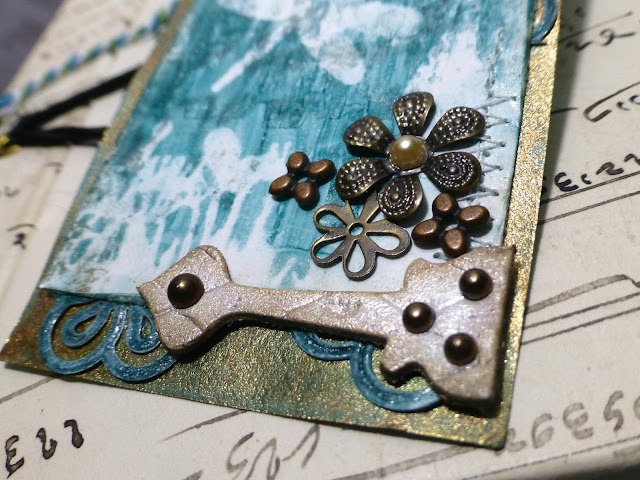 The blue flowers are metal ones covered with white gesso and Caspian Sea glimmer glam (Tattered Angels). The sentiment is cut in cream cardstock (DCWV) with Cricut and Graphically speaking cartridge, then spray with Crocheted Doilie glimmer mist (Tattered Angels). Thank you for stopping by. I hope you enjoy this alternative technique to alcohol resist stamping. So pretty and lovely tag!